I have always had a bucket list – it’s just not written anywhere. I like to think of it as an ever-evolving secret menu that a handful of people know about. Sometimes, even I don’t realize that I have ‘always wanted to do that’ until I have already done it. Other times, there is a clear vignette that I am chasing, which becomes a driver for making my travels happen a certain way. Our decision to divert to Japan for our upcoming trip is one such example. In 2005, I spent a co-op term in Vancouver, working in an office building which had many beautiful cherry trees in its garden. As March turned to April, I saw them in bloom for the first time, and it was a profound visual experience, especially when the breeze would blow. It was there that I learned of the importance of Sakura (cherry blossom) in Japanese culture, and it was there that I formed a desire to visit Japan to partake in Hanami (the act of appreciating the transient beauty of flowers). I carried this desire in my heart, unspoken, until a couple of months ago when Al and I were deciding how we would fly back from Bangkok, the destination we had booked a year ago because of an exceptionally cheap flight deal. Flying back on points via Tokyo proved to be the most efficient way, and we planned a stopover in Japan, leaving Thailand (a country we had each already visited, separately) as our primary destination. 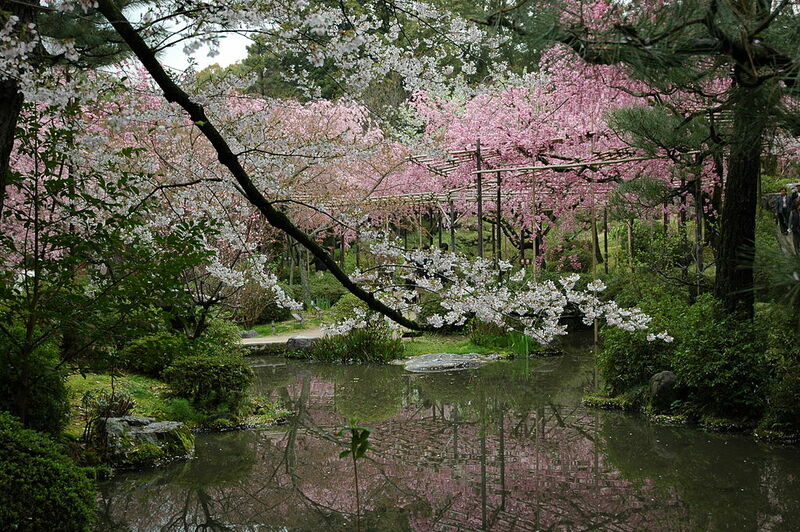 Realizing that this would put us in Japan during prime Sakura season, I told Al about how it was on my bucket list, and we adjusted our plans to spend some more time in Japan, allowing us to travel to the northern parts where the trees would be in full bloom at our arrival. This is how we ended up with such a whirlwind world tour. While some of my earlier posts explored meaningful travel at a slower pace, seeking a natural/cultural experience is another way to make travel meaningful. In this case, I feel the pace is fitting. Life is guaranteed to be transient, like the Sakura. If we’re lucky, it can also be just as beautiful.